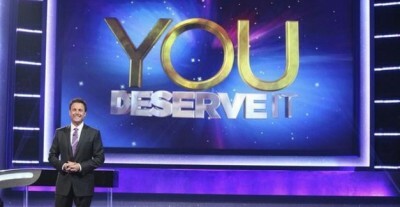 This game show is unique in that contestants don’t play to win money for themselves. They try to win cash for someone else that they feel deserves it due to difficult circumstances in their life. The game centers around trivia and host Chris Harrison guides contestants as they play several rounds. They try to guess a person, place or thing with as little help as possible. The first round starts at $10,000 and goes all the way up to $250,000. If a contestant doesn’t know the answer to a puzzle, they can purchase a series of clues to help them. Each clue however costs them money which is taken out of their earnings. The catch is that they won’t know how much the clue has cost until after it’s been purchased. The more clues that they need, the less money will be left for the person they want to have the money. If they answer a question incorrectly, that round is over. The beneficiary, who’s in another location. They’re unaware that the contestant is playing on their behalf and is under constant hidden-camera surveillance. By the end, the beneficiary gets the surprise of a lifetime. Family, friends, and co-host Brooke Burns (with a camera crew) burst in with life-changing news, to tell them how much they’ve won. A son plays for his mother who is unemployed and has a heart condition.